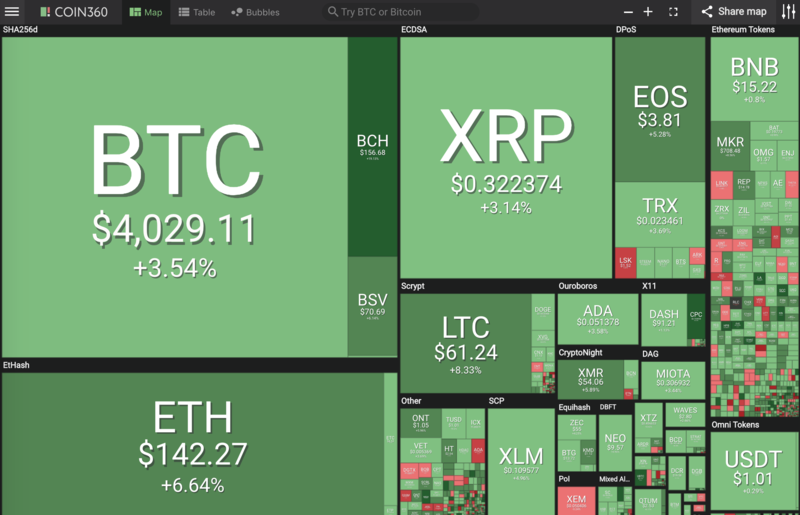 Bitcoin (BTC) breaks to the upside and over 4K USD and helps to turn the cryptocurrency market GREEN. 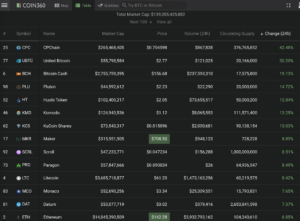 The cryptocurrency market is almost all green except for stable coins. 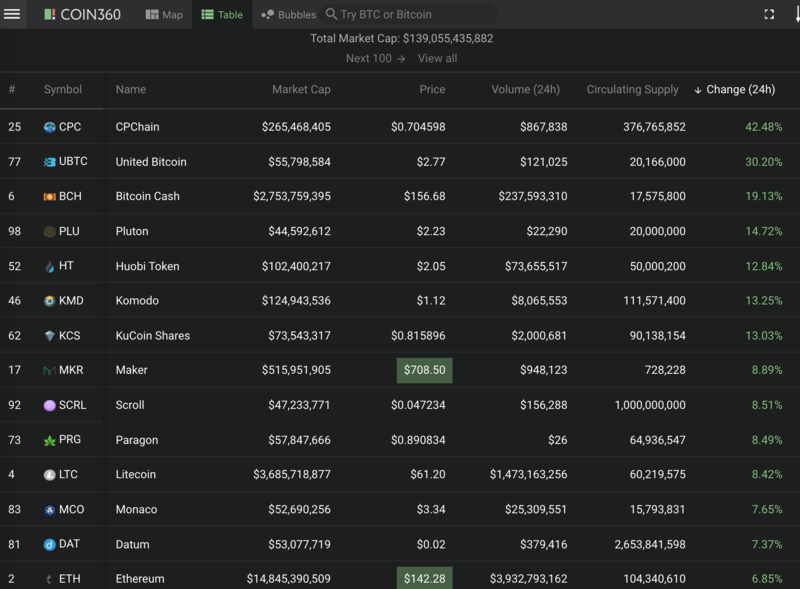 CPChain (CPC) 42%, United Bitcoin (UBTC) 30%, Bitcoin Cash (BCH) 19%, Pluton (PLU) 14%, Huobi Token (HT) 12%, Komodo (KMD) and KuCoin Shares (KCS) 13%. 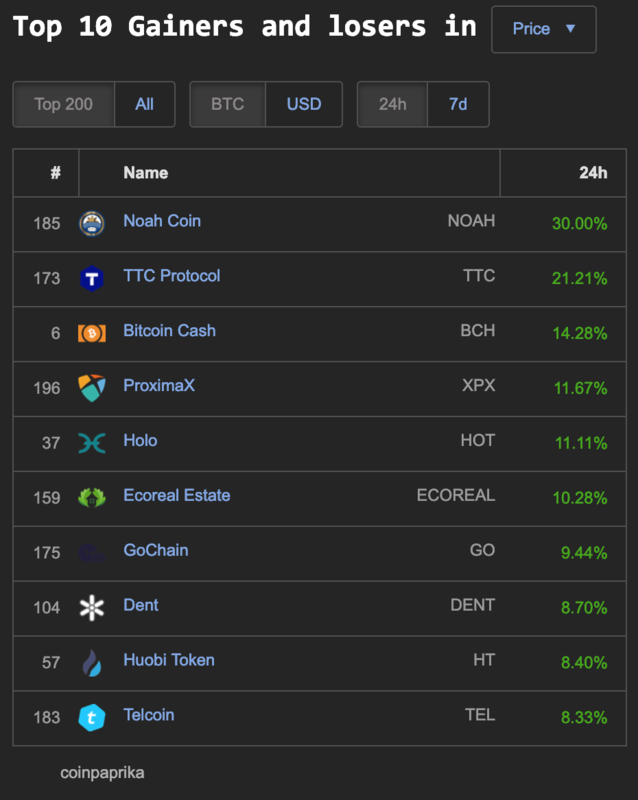 The top moving coins with the top 100 market cap. 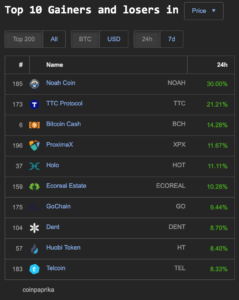 Noah Coin (NOAH) 30%, TTC Protocol (TTC) 21%, Bitcoin Cash (BCH) 14%, ProximaX (XPX) Holo (HOT) 11%, Ecoreal Estate (ECOREAL) 10%. 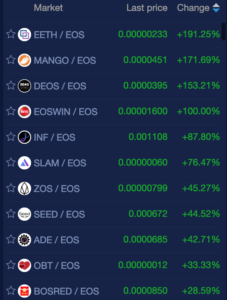 NewDex.io exchange has 4 coins with triple digit gains: EETH (191%), MANGO (171%), DEOS (153%) and EOSWIN (100%). 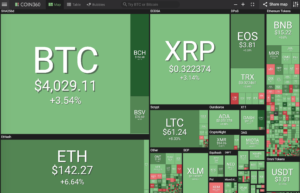 INF (87%), ZOS (45%), SEED (44%), OBT (33%), BOSRED (28%), BOID (18%), LED (16%) and BLACK (13%). 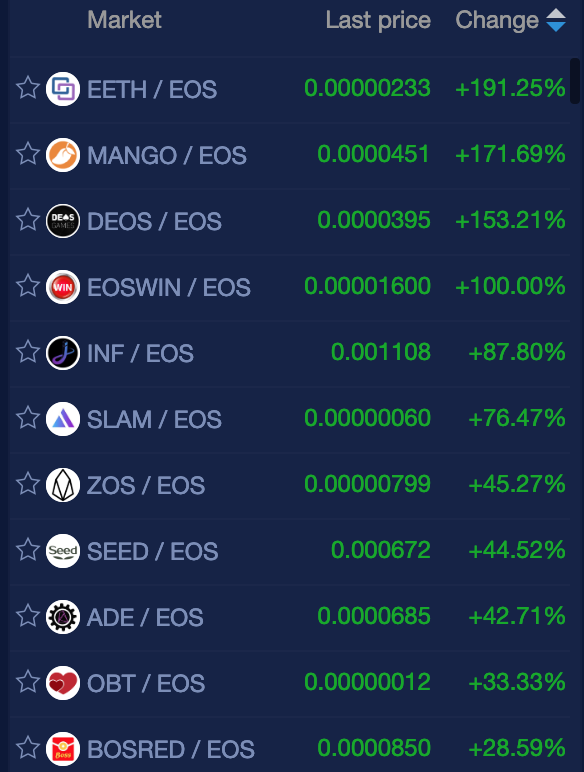 EOS trading pairs are the biggest winners on this green cryptocurrency day on NewDex.